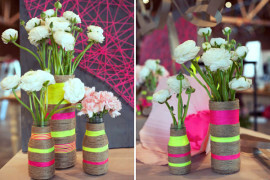 That’s why today we feature 10 DIY projects that will inspire you to start the new year in style. 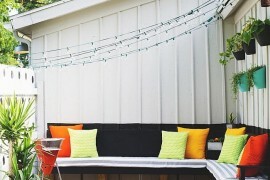 For this post, I tried to spotlight some of today’s most popular motifs. 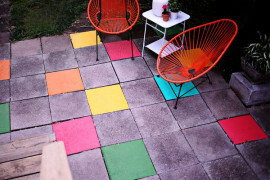 In fact, several themes continue to pop up, including ultra-bright colors, geometric shapes and metallic shades. 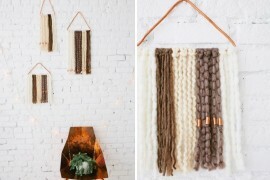 And boy do these DIY projects incorporate the top trends in style. 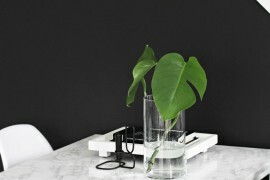 Check out the images and ideas below, then tell us what you think at the end of the post! 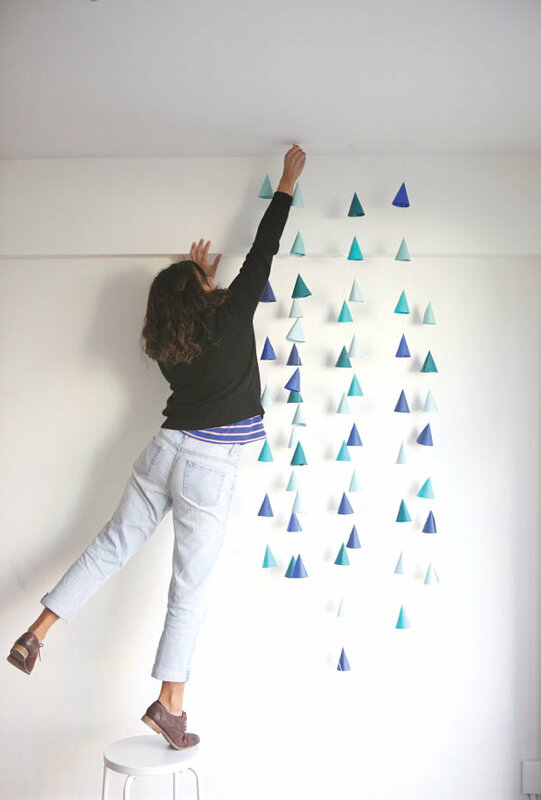 In fact, the project above helped embellish the studio of blogger Joy (of Oh Joy!). What did she do with the leftover gold contact paper? 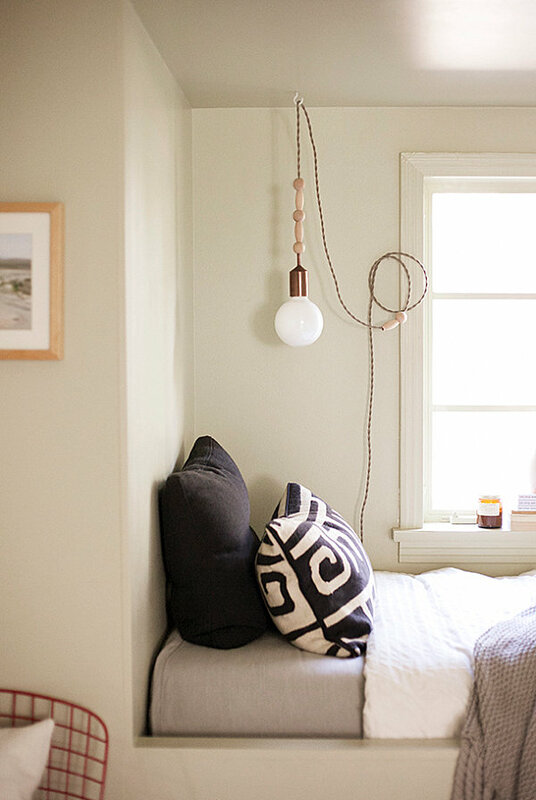 She used it to create an eye-catching entrance via the Metallic Stripe Door DIY showcased in the next image. 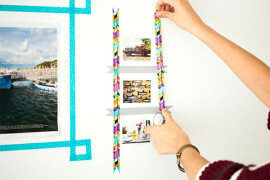 Check out the full tutorial at Oh Joy! 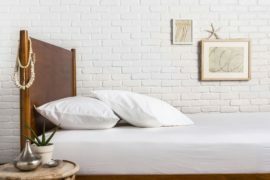 Staring at blank wall space that you hope to put to good use? 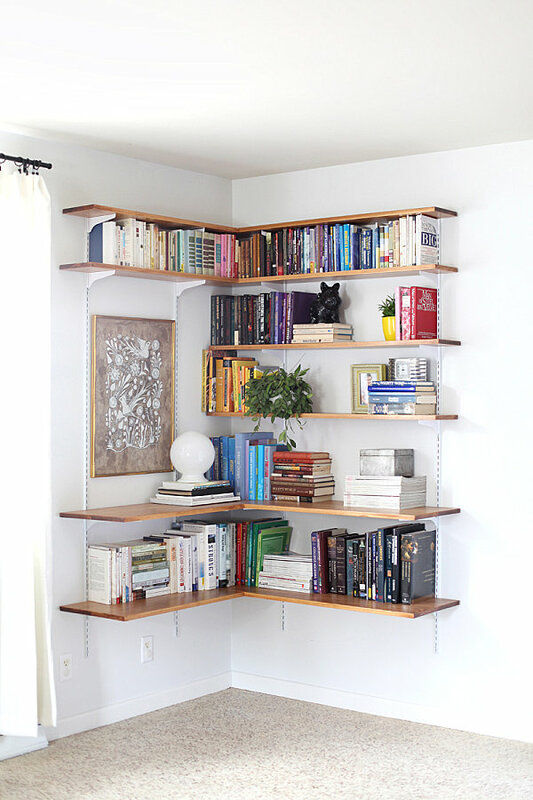 Try building this adjustable DIY Corner Shelving System! 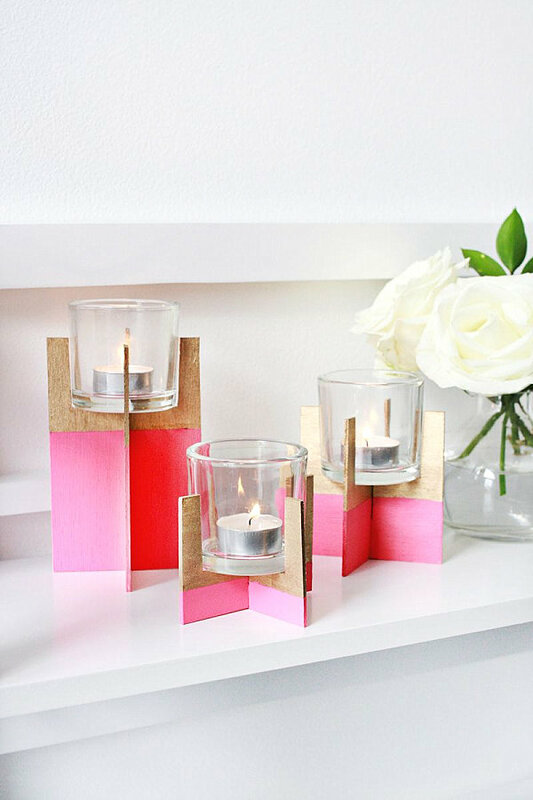 Making use of materials such as poplar wood, this helpful DIY tutorial can be found at A Beautiful Mess. Or you can simply use the awesome photo below to inspire you as you organize the bookshelves in your home. 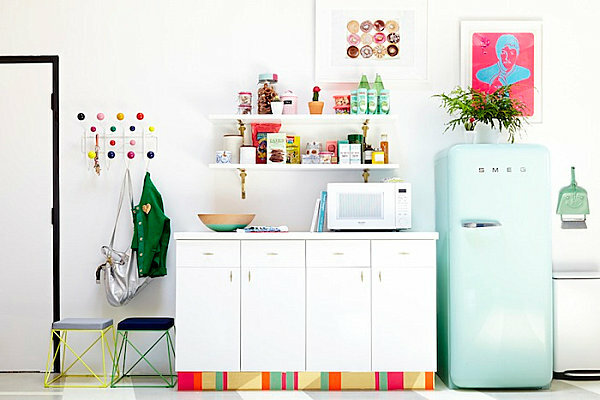 Love the color coding and use of vintage-meets-modern accessories! 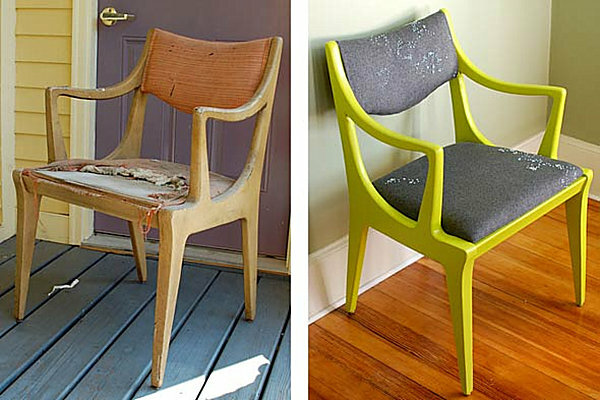 We now shine the spotlight on two DIY furniture projects that are sure to add budget-friendly flair to your home! 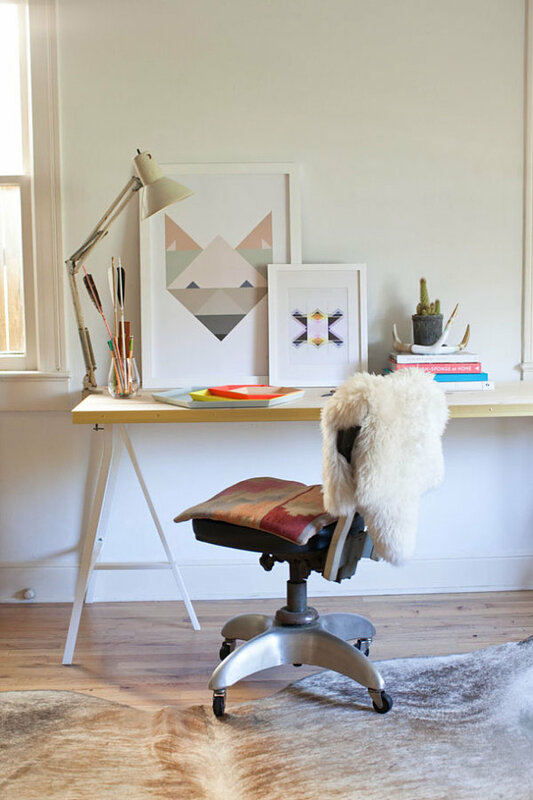 Once again we admire the DIY genius of Claire Zinnecker, who has created this Gilded-Edge Desk DIY. What’s involved? IKEA legs, whitewood boards, gold carpet trim and more… Check out the full tutorial at Camille Styles. 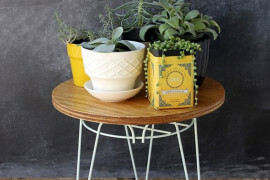 Like succulents? What’s not to love?! 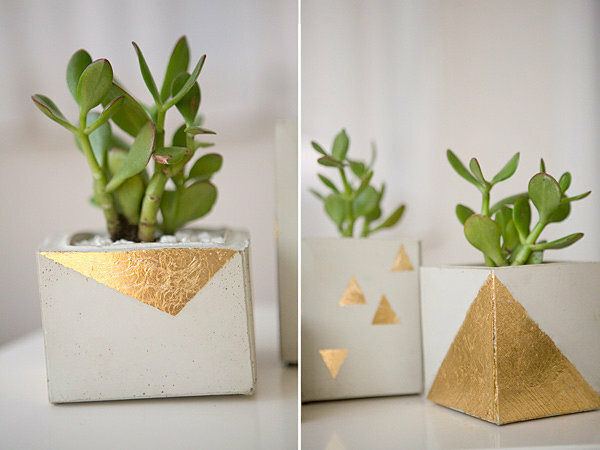 Especially when they’re displayed in these Gold Leaf Cement Pots from Ruffled. To make your own, you’ll need containers for molds, a gold leaf kit and a few other supplies. 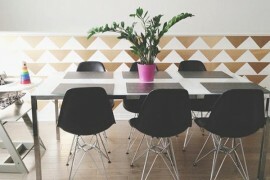 Incorporate your love of geometric shapes to create a final product that is sturdy, substantial and undeniably stylish! This Gold Confetti Dish tutorial from Vitamin Handmade has glamorous end results. 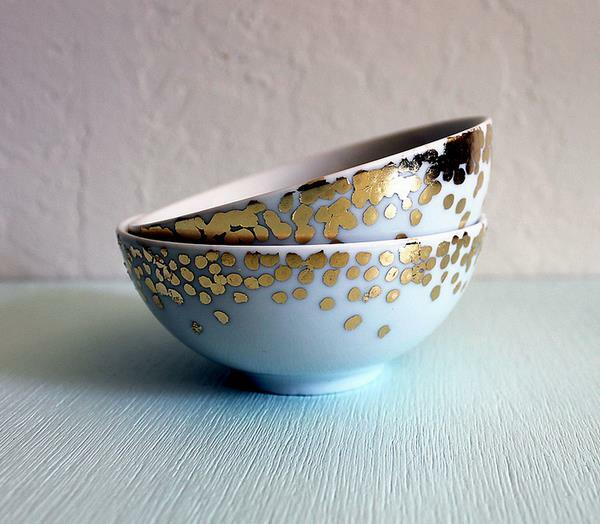 With some affordable ceramic bowls and a gold leaf pen kit, you’re well on your way to creating gorgeous decorative accents that also make great gifts!